Cointraffic is widely known as the loudspeaker for the crypto community. Using the proprietary network, advertisers can rocket launch their message out across thousands of reputable crypto websites. However, for a number of months, the team has switched their focus from controlling the rocketship – to giving their audience the control. Their mission? To allow users to manage their own ad campaigns via a robust self-service dashboard. The change, which is only one part of an overall system relaunch they’ve aptly coined Cointraffic 6.0, means that from today, advertisers will have total control over the campaigns they run. This includes analytics, campaign traffic purchasing, blacklisting, and the ability to tweak campaigns at their discretion. Previously, only the company’s service managers had this ability. According to Cointraffic CEO, Sergei Verbitski, the change has been a result of listening to their customers. According to the company, the service managers will still be on-hand to answer questions, guide first-timers through the campaign setup process and help with creative assets on request. But for seasoned advertisers who want total control? This is an exciting opportunity given the company’s promise of lower prices – allowing for more traffic to be purchased for less. And in a world first, Cointraffic is welcoming early-adopters to test and use the program from today. 🚀DIY your campaign sets entirely: feel, aesthetics, traffic sources – everything! 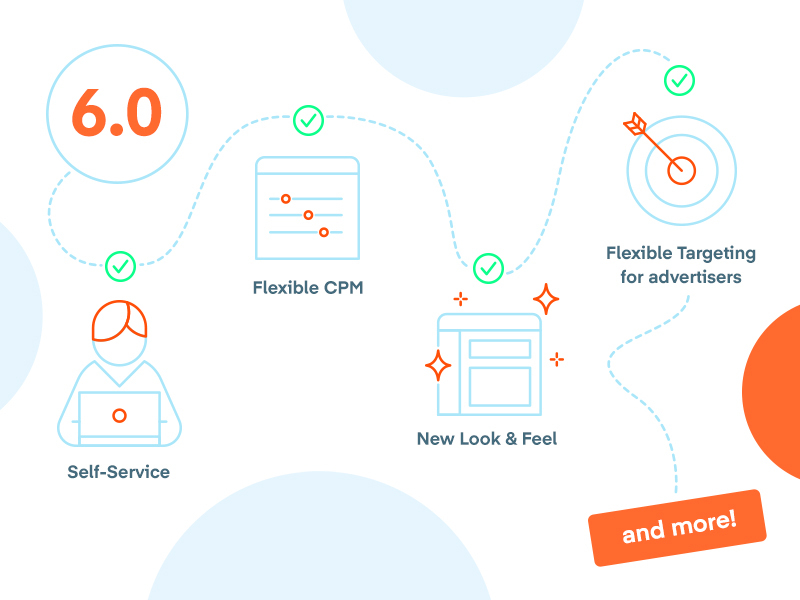 🚀Set your own CPM bids, depending on your needs and competition. 🚀Toggle campaigns on and off as required, scale and monitor in real-time. 🚀Control traffic quality with the help of blacklisting. Steer your own rocketship, with access to ground control whenever you need. The CEO is available for interviews and media ahead of and after the launch. Read more about Cointraffic’s history and ethos at cointraffic.io. Cointraffic: The loudspeaker for the crypto community.